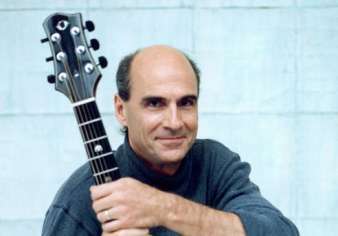 James Taylor is a wonderful singer/songwriter and musician. But he doesn’t know much about Freedom and where it comes from. OK JT, I will bite…which freedoms should we sacrifice? OOH I know–why doesn’t the government start to control which songs you are allowed to play? Here’s another idea, how about we not only sacrifice our first and second Amendment freedoms’ but other freedoms also? Honestly who needs that habeas corpus stuff in the constitution it’s not even English. Right James? This is America we should only recognize the rights that are written in English..none of that Latin stuff. There is only one problem with sacrificing our “freedoms” James—we can’t. Or at least YOU can’t and neither can our government. You see, freedom isn’t the only thing that makes America special..it’s where those freedoms come from–not the government, but from God. In other words YOU can volunteer to give YOUR freedoms away, but neither you nor a government can take away mine without my consent. And since I’m not about to giving anything away keep your bloody hands off my freedoms and go play some music. Obviously talking will get you in trouble.